Where to Buy Weasel Coffee in Ho Chi Minh City? Civet coffee is rare and expensive. This leads to a lot of vendors in Vietnam that will try and trick tourists into spending money on fake Weasel Coffee. Our article below gives you all the information you need on where to buy weasel coffee in Ho Chi Minh City. Weasel coffee is one of the world’s most renowned and elusive coffee beans because of its chocolate-like taste, delicate aroma, and smoky smell. A lot of locals and visitors in Vietnam want to know, where to buy weasel coffee in ho chi minh city? 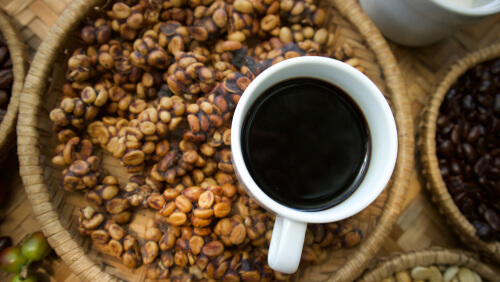 The Civet Weasel does live and create the famous coffee beans in Vietnam, but the scarcity of the beans makes it difficult to find a real supplier. The question where to buy weasel coffee in Ho Chi Minh City is easy to answer after our research. You can buy imitation weasel coffee beans from Trung Nguyen Coffee or purchase real beans from our recommended supplier Legend Revived Chon Coffee. I’ll let you know a bit more about Weasel Coffee and the suppliers so you can make the best decision on if you would like to buy weasel coffee in Vietnam. Weasel Coffee is a bit of a controversial subject because of the process. The organic and natural way the coffee was originally used was from the feces of the Civet that used to lay around naturally in coffee farmlands. After discovery that the weasels digestive process left the coffee with a unique taste, it became a sought after delicacy by the rich. These days greedy suppliers force weasels to eat coffee and raise them in unhealthy captive environment to make as much profit as they can. Vietnamese mainly use imitation weasel coffee, because of the controversy but also the price. This type of coffee is made from a bio-fermentation process, which simulate the natural fermentation process in the weasels’ stomach. Some suppliers who take advantage of the demand for Weasel coffee don’t make it unethical to purchase necessarily. There will be as many good suppliers as there are bad, we will recommend an outlet who does sell the real weasel coffee so you can have the option if you would like to purchase the coffee while in Ho Chi Minh City. It depends on you if you would like to buy imitation weasel coffee or real weasel coffee. We recommend buying Imitation Weasel Coffee from Trung Nguyen Coffee Shops. Many coffee shops sell “weasel” coffee in Ho Chi Minh City. You can see coffee kiosks on the sidewalks and markets selling weasel coffee, but don’t trust them. Real Weasel coffee is too expensive and rare to find it at these Kiosks. These kiosks and shops are selling normal Robusta coffee and not even the imitation weasel coffee. Trung Nguyen Coffee is the most prestigious brand in Vietnam that sells imitation weasel coffee. They are like Vietnam’s version of Starbucks. Trung Nguyen Coffee Shops can be found on almost every crossroads in the center of the city. I always love to visit these coffee shops to enjoy a cup of coffee, while chatting with friends and enjoying the relaxing music. This represents a large part of Vietnam’s culture and way of life. Imitation Weasel Coffee does have a nice taste to it that I rather enjoy but it may not be for everyone. Trung Nguyen’s natural bio fermentation process gets the coffee to come close to the same aroma and taste as weasel coffee but a bit more easy on the palate than the real stuff. My personal recommendation would be to order Coffee from Trung Nguyen instead of spending so much money on real weasel Coffee. If you love the imitation coffee, then it may be time to consider purchasing some of the real weasel coffee. Trung Nguyen Legend company colors are Black and Gold. The logo is a combination of two circles. There is a symbol of the sun in the middle of the inner circle and coffee beans and hearts around it. Here are some locations of the brand that are near Ben Thanh Market in District 1 Ho Chi Minh City. These should be easy for a traveler to visit. I’ve noted the time when they open and close their shops so that you can find which ones are the most convenient for you to visit. The staff may speak limited English. They can handle a simple coffee order but when you need to buy raw coffee powder to bring home, you’ll need more help. Most of the Trung Nguyen locations around Ho Chi Minh City will have pre-packaged bags of their coffee that you can bring home with you. You can find these products in almost all of the Trung Nguyen coffee shops. They can also be found on the shelf of Lotte Mart Supermarkets and even on Amazon. However, they are slow in response, I suggest buying directly at the mentioned shops and supermarkets. If you are a coffee connoisseur and eager to buy real weasel coffee in Vietnam, you can visit Authentic Legend Revived Chon Coffee. 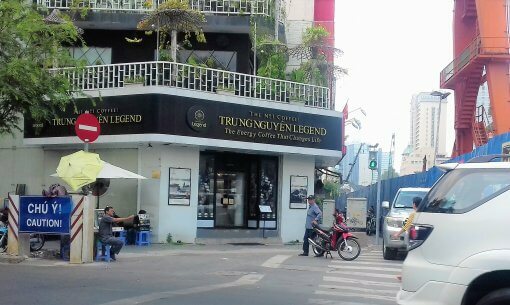 Authentic Legend Revived Chon Coffee is not as well-known as Trung Nguyen Coffee in Vietnam. They sell real weasel coffee produced from their farms, so the prices are more expensive than those of Trung Nguyen. It’s their coffee quality and their foreign customers that prove the trustworthiness. They have two civet farms: one is in Buon Ma Thuot and another one is in Lac Duong District, near Da Lat City. Their civets are either Asian Palm Civet (Paradoxurus hermaphroditus) or Masked Palm Civet (Paguma larvata). 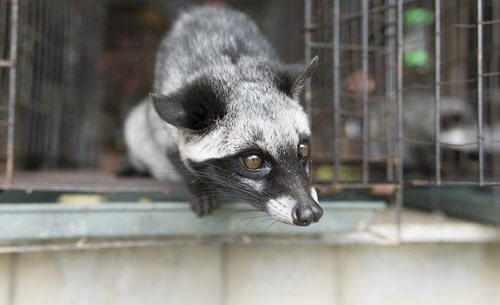 The Civets are kept in a semi-natural habitat, so you don’t have to worry about these poor civets being exploited. You can either buy weasel coffee at their showroom, their retail places or order coffee to your accommodation via phone. They also have branches found throughout Ho Chi Minh City that will sell their coffee on the shelf for you to purchase. If you are looking to buy a bag to take back with you, we recommend reaching out or visiting the following places to buy your coffee. -22-36 Nguyen Hue Street, District 1. -18 An Duong Vuong Street, District 5. -2 Lam Son Street, District 1. -242 Nguyen Van Luong Street, Ward 10, Go Vap District. -Nguyen Huu Tho Street, Tan Hung Ward, District 7. -18-20 Ton Dat Tien, Garden Plaza 1, Tan Phong Ward, District 7. -126 Hung Vuong, Ward 12, District 5. -329 Tran Hung Dao, Co Giang Ward, District 1. -169 Nguyen Duc Canh, District 7. -21/18 Truong Son, Ward 4, Tan Binh District. -105 Dong Khoi, Ben Nghe Ward, District 1. -R4-03 Hung Gia 2, Phu My Hung, District 7. How much is Weasel Coffee in Ho Chi Minh City? The prices of weasel coffee depends a lot on the type of coffee and brands. The prices of weasel coffee in Vietnam is not very different from prices found all over the world. A cup of weasel coffee costs from $30 to $50 USD. If you want to buy weasel coffee powder, it costs from $20 to $160 USD for 100g. Imitation weasel coffee will be much more affordable for typical coffee drinks who are only interested in trying the taste of Civet coffee out of curiosity. What to Wear to the Cu Thi Tunnels?